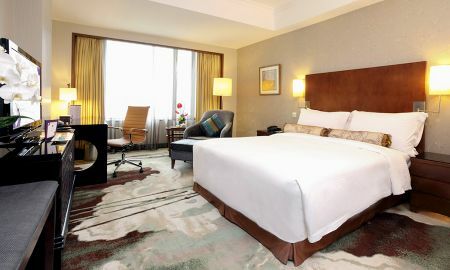 Grand Mercure Beijing Central is a stylish 4-star hotel set in Xidan Commercial District. 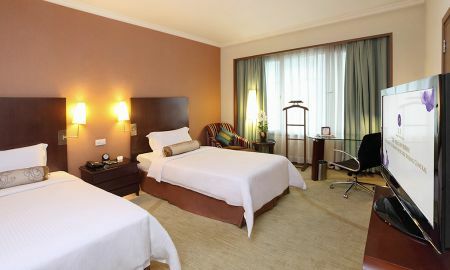 It is an ideal destination for business and leisure travelers alike. 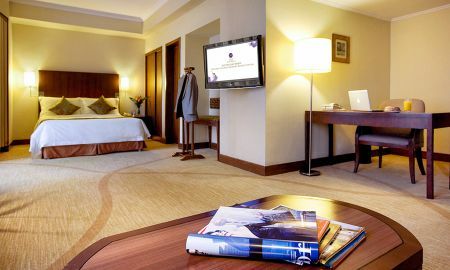 The property offers 36 executive rooms and 33 suites. All of them are well-appointed and are decorated in a modern style. Some rooms include modern artwork and a seating area. Free WIFI is available in guest rooms and public areas. Dining experiences at the hotel vary and include an international buffet, as well as congee 24 hours a day. A variety of Shandong, Szechuan and Cantonese dishes can be enjoyed in the China Kitchen Restaurant. The Central Mercure Beijing is also home to a fitness center fitted with state-of-the-art equipment to stay in shape, as well as a heated swimming pool where you can unwind. Laundry and dry cleaning services are also available. Grand Mercure Beijing Central is only a 5-minute walk from Xidan Subway Station (line 1&4) and Xuanwumen Subway Station (line 2&4). Beijing South Railway Station and Beijing Railway Station are respectively reachable within a 15-minute a 12-minute taxi ride. Capital International Airport is a 45-minute drive away.